Port Lavaca Ford is the preferred dealership of Edna! Whether you’re looking for a new Ford or anything else, we have the car for you! We recommend you check out the new Ford F-250, Ford Escape, and the Ford Mustang. Our large new and used car inventory, friendly staff, and timely service makes us the best choice for all shoppers. We look forward to meeting y’all at our convenient showroom near Edna, Texas. Our service department is here when you need us with early bird hours, Saturday hours, and to top it all off, we offer a free shuttle service. In addition to being there when you need us, we are here for what you need. We offer OEM parts and accessories, Michelin Tires, Goodyear Tires, state inspections, and of course free Wifi. All we ask is that the people of Edna, Texas allow us to be there for you. Check out our reviews and see for yourself why Edna residents have been trusting us for years. We are conveniently located at 1801 Highway 35 South, Port Lavaca, TX 77979! See y’all soon! Went in to take a look at the new F-150 King Ranch edition and I told myself I wasn’t making any purchases. Boy was I wrong. I left the dealership in my new truck and I couldn’t have made a better decision with the price they gave me. Highly Recommended!! These guys dig deep when it comes to their customer service. These guys go above and beyond to find their customers the best deal that they can handle. They’re the definition of business people! Come see these guys. Just bought a Ford Focus. I love it!!! These employees gave me so much attention from the moment I walked it. It’s like they really wanted me to make a purchase. 5 stars from me!! 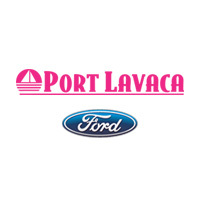 We love Port Lavaca Ford!!!! Just purchased a new Ford F-150 and I was not expecting such a cheap price!!! Great experience.